Someone described Lost Dimension to me as a mix between Danganronpa, Fire Emblem, and anime. For better or for worse, that description is incredibly spot on. It mixes a bunch of well-known concepts and mechanics and produces a polished result that looks all set to succeed on paper. 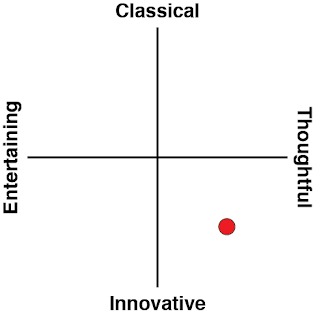 On a narrative and a stylistic front, the game fires on all cylinders. As a PC port, its bells and whistles are a little more rusty. Related reading: For a second opinion on the game, here's Matt's review of the game on PlayStation 3. 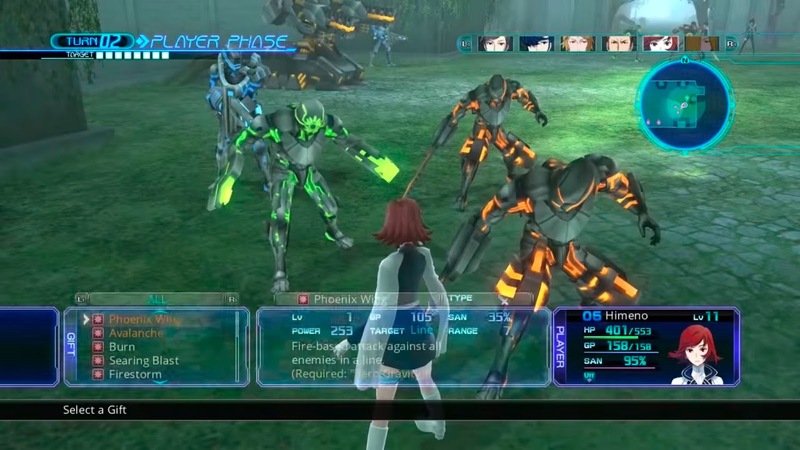 Lost Dimension is developed by Lancarse and it was originally released in 2014 on Sony’s stable of consoles at the time. I went into the game without any knowledge of that, but managed to suss out that it was Vita game in about two seconds flat. Maybe because it smacked of the same aesthetic that drove Conception; over-the-top dramatism, strong anime influences in all areas ranging from characters to narrative elements. The art style was great, but typical. The silhouettes, the opening theme, even the characters themselves have an air of familiarity; you’re not treading much new ground with their designs and motivations themselves. However, all that being said, Lost Dimension stretches the material that it’s got so skillfully that it often feels incredibly original. The premise isn’t too hard to wrap your head around at first. You’re a part of a superpowered government taskforce assembled to combat a narcissistic, world-ending evil who’s going to nuke everything on earth if he goes unchecked. However, things go a bit awry when the bad guy (unsubtly named The End) captures you and your teammates, erases your memories, and tells you that the only way to save the world is for all of you amnesiacs to work together and kill him once you journey to his lair. The only catch: there’s traitors in your midst and you have to eliminate them to succeed. The Danganronpa comparison is obvious here: a core mechanic is the process of judging and voting off an enemy, and the stakes are truly high. How do you determine the guilty party, you ask? Firstly, you get to know all your teammates through fighting alongside them and strategically increasing your relationship bonds with the ones that you think are innocent. Then, you and your party members vote someone off this plane of existence. Surprisingly, letting go of the traitors was a more emotional process than I expected. I’d laughed with them, hung out with them in our downtime, and had them back me up in battle over and over again. Lost Dimension encourages full participation from the player in those relationship-building exercises, and it’s the small touches that make the bond system feel meaningful. Sure, the processes aren’t much different from bond-building in games like Fire Emblem. However, you feel a natural pull to engage in these activities because of the characters themselves. As mentioned before, the characters have easily identifiable tropes. Brash swordsman with a bark bigger than his bite? Check. A young girl in school attire who loves all things adorable? Check. Token older white male with an inoffensively bland American name? Check. The protagonist who appears to be underpowered compared to the rest of his party whilst still holding the key to salvation? I don’t have enough fingers and toes on me to count the number of times that particular cliché has reared its head over the years. It’s quite impressive that Lost Dimension doesn’t wear out its welcome when its characters don’t tread new ground, especially when dealing with those characters constantly is the key to success and, really, the focus of the game. I suppose it’s what you make of what you’ve got, and while the characters aren’t anything to write home about initially, it’s the power of friendship that makes them worth caring about. 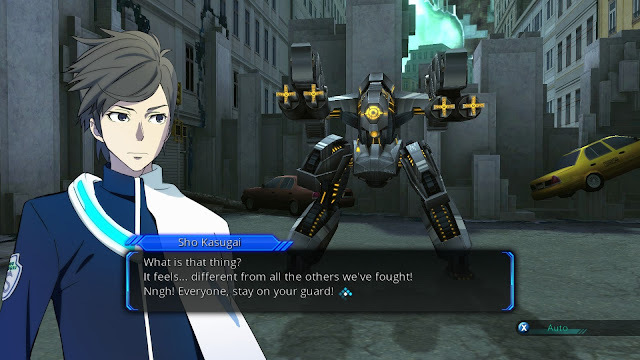 Lost Dimension forces you to cultivate relationships with all of the characters to some extent as you traipse around trying to get to The End’s final fight. You’re subjected to a variety of different levels and given a few distinct things to do once the tutorial mode is essentially over: combat, having a casual yarn, and once you’ve done both in that order you can add ‘rooting out a traitor’ to the list. There’s a formulaic air to it all: it’s emphasised that if you want to guess the traitor correctly, you’ve got to get to know everyone else, and you have absolutely got to do that through spending time with them. Most of this will be made up of turn-based fighting, and there’s a handy mechanic that gets you to blast through some tough enemies and makes you feel closer to your teammates – Assist. If your teammates are spatially close to you and the foe you’re attacking is within their attack range, they’ll enter the fray too. If you position things right, your whole group could be whaling on the same enemy at once, and this can be triggered when you’re attacked which makes short work of bosses if you’re smart. 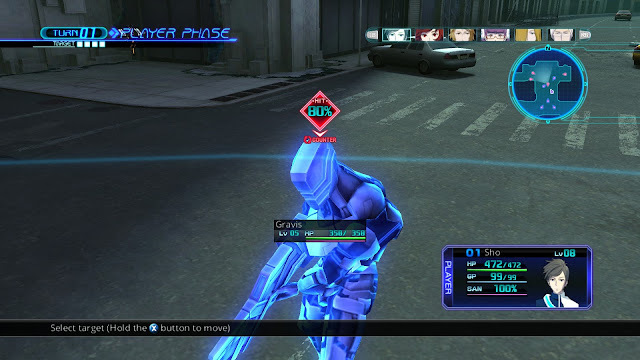 Characters often have a variety of special combat abilities that will help you trigger these combos, whether it’s incredible positioning skills or long-range attacks. You can build them the way that you want, whether it’s for explosive damage or for sheer entertainment, although I muddled through the skill tree initially and still managed to come out on top. The combat system on its own is functional enough but as I said, it’s the small things. Your teammates encourage you when they’re about to back you up, they call out when they’re low on health and when they’re helping you out in a pinch. You can save your action points for another team member to use at the cost of your character’s Sanity resource, which in itself makes it feel like you’re either making sacrifices for your teammates or forcing them to make sacrifices for you. Sure, you may not find much to relate to initially when you meet the other characters, but as you’re thrust into dangerous situations time and time again, they grow on you. After each battle you’ll also get the option to increase your camaraderie with a few select members, which has the potential to unlock story quests that teach you more about them and their motivations. You feel compelled to hear everyone out at first since you’re playing both investigator and executioner, but before long, I started talking to everyone just because I wanted to know more about who they were. It helps that the protagonist, Sho, is portrayed as empathetic. You start a number of conversations off by asking your teammate how they are. You can choose how to respond after that, but your initial motivations are always caring. There were a few scenes where Sho comforted a teammate, or tried to, and without spoiling anything, there’s a particularly vulnerable character that rebuffs him and he muses on that after every conversation with them. It’s humanising; you’ll have teammates who like you, others that fear you, and of course, no one trusts you. Forging bonds of friendship in an environment like that are difficult, but the emotional and dramatic payoff is pretty spectacular especially when it comes to judgment time, which happens cyclically and keeps you engaged in relationship bonds for all the moments in between. All the above elements of Lost Dimension work together to deliver a great experience. Or at least, they would if not for the fact that the game feels significantly underpowered on the PC. This isn’t about the graphics; I don’t care about whether a game’s character models and environments feel dated. It’s more about the day-to-day. It feels like you’ve got an input delay when you’re doing something as mundane as allocating skill points. Trying to position your characters on the battlefield has the same problem. 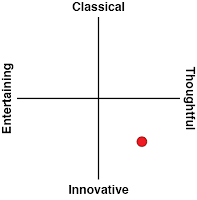 The most glaring example is how you spend the majority of your time in combat, and while conceptually and mechanically it’s a great exercise, for some reason everything feels like you’re moving underwater sometimes. Range and motion indicators stutter constantly when you’re moving around the map, there’s an uncomfortably long delay between animations, and the camera lock feels so claustrophobic when you’re trying to survey the battlefield and get a better angle. Sometimes the camera tried to focus on an enemy that was far away and behind a wall; I sat through about three turns of my view being fixated on the concrete as it played out its movements agonisingly slowly. Fighting feels great in terms of the adrenaline rush you get from your teammates helping you out, but every other aspect of engaging in it is tedious. I’ve watched gameplay footage of the game on the Vita and those flaws seem to be missing, so it's disappointing that the PC port isn't optimal. 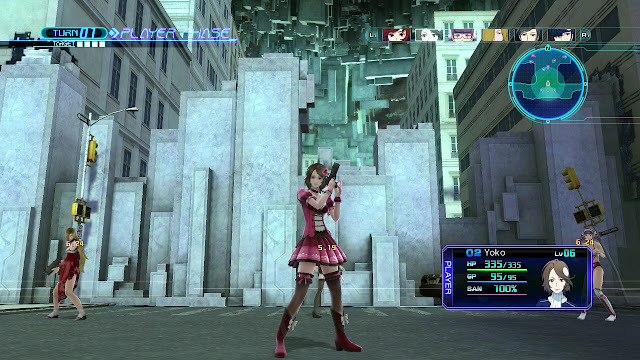 Related reading: An interview with Ghostlight on bringing niche JRPGs, like Lost Dimension, to PC. 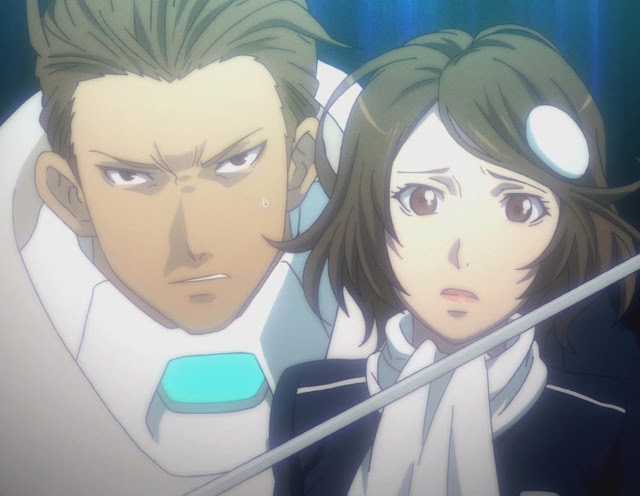 Lost Dimension has so much potential, and it clearly knows how to work a compelling story. It’s got neatly interwoven systems that encourage you to focus on all aspects of the game in order to get to the outcome that you need, and it should be commended for the way that it gets you to build organic relationships between characters that start off as purely unlikeable. The process of investigating and ruling out the traitor is an engaging, multi-part affair that feels meaningful, and the fact that traitors are randomised means that no two playthroughs are going to be the same - the replay value of the game is through the roof. However, for everything good about it, it’s inevitably let down by the unfathomable frustration that is the combat in this port, and there will be those who are unable to look past that to the gem hidden underneath.